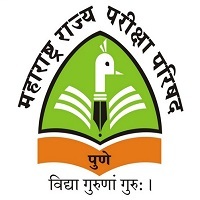 For recruiting eligible candidates becoming teachers of primary level and upper primary level classes, Haryana TET 2019 Examination is conducted by the Board of school education. Candidates will be given the authority to take up this test, according to the rules and regulations of state government. The direct appointment is given to desired candidates to become teachers or lecturers eligible only in recognized schools of state Haryana. Only in two major levels either primary or upper primary the teachers are categorized and given an appointment. Only candidates those who meet challenges can able to persuade eligibility in terms of undertaking this test. HTET 2018 has been released on 19th November 2018 (6:00 pm). Click Here to apply online for Haryana TET. Candidates will go through the official website which is www.htet.nic.in. So visit on this official website and search for online registration after that and clicking on it the candidate will see an application form. The candidate has to fill correct details and then has to submit the application form along with the application fee on or before the last date. In the end, take a printout of the application form for further use. (i) English, (ii) Hindi, (iii) Geography, (iv) Sanskrit, (v) Home Science, (vi) Sociology, (vii) Psychology, (viii) Punjabi, (ix) Urdu, (x) History, (xi) Political Science. Graduation with at least 50% marks and passed or appearing in 2-year Diploma in Elementary Education/1-year B.Ed. (Special Education)/Bachelor in Education (B.Ed)/ 4- year B.A/B.Sc.Ed or B.A.Ed/B.Sc.Ed/ 4- year Bachelor in Elementary Education (B.El.Ed). 2- year Diploma in Education (Special Education)/two year Diploma in Elementary Education. 4- year B.A/B.Sc.Ed or B.A.Ed/B.Sc.Ed. Visit HTET official page htet.in. Open recruitment section and then open the Online Application form. Submit your academic qualification, eligibility, skills and other required information without errors. Attach scanned copies of all supporting certificates. Cross-check the information before submission to avoid the errors. The Syllabus consists of two objective type question papers. Each paper will consist of 150 MCQ’s. Each question carries 1 marks totaling for 150 marks. Paper-I syllabus: To become teachers for classes I to V in primary school. Paper-II Syllabus: To become teachers in upper primary school for classes between VI and VIII. Paper-I and Paper-II: For those candidates who are interested in teaching from class I to Class VIII and have to get qualifying marks to be considered for all the classes also can appear for both the papers. Admit card is the very important to document without this you are not allowed to enter in the exam center. The commission will release the Hall Ticket before the few days of exam. Candidates, please download your Call Letter before appearing in the exam. The Result Haryana TET Exam will be declared soon after the finishing of the written Exam. The Result will be available online after an exam. 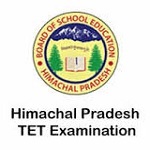 A person who scores 60% or more in the HTET exam will be considered as TET pass. Aspirants who will be Shortlisted in Written Exam, they will have to appeared in the next rounds. The Answer key will be available online after an exam. Candidates can check Answer key after the exam. The application for HTET 2019 will be made completely online. The Application form of Haryana TET 2019 can be downloaded from HTET official website. The information brochure will be available online on the HTET websites. Read carefully this information brochure, check their eligibility and applicable reservation category etc. before filling and submitting the application. To avail notifications, admit cards, hall tickets, important dates, Application form candidates have to refer official website. Selection Process will be based on the written examination for the applied candidates. Your selection will do on basis of your performance and qualification.